On Wednesday, the US central bank said that it did not expect to raise interest rates, for the rest of the year amid slower economic growth. “Typically investors expect to be compensated more to wait longer to get their money back. So a ten-year US Treasury bond is likely to pay more than a three-month US Treasury bond. “The problem right now is that investors are willing to be paid less to wait longer – an indication that they don’t have much confidence in the long term outlook for the US economy,” says BBC New York business correspondent Michelle Fleury. 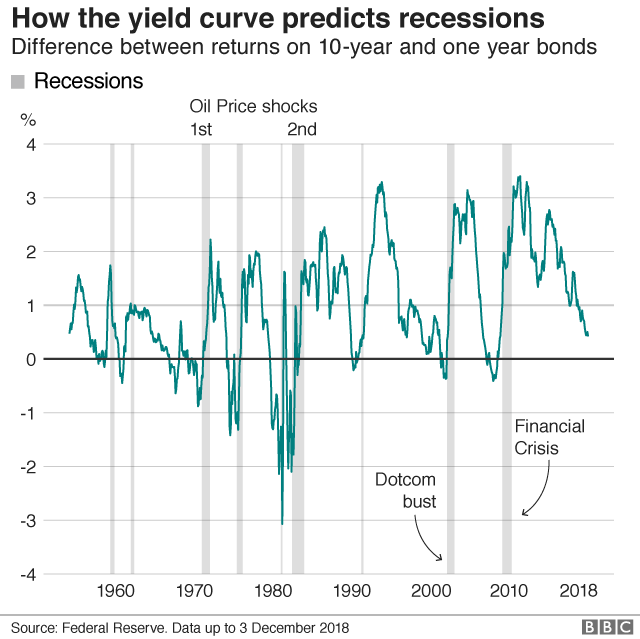 A central bank study in the US found that the bond markets, had successfully foreshadowed all five US recessions since 1955.